Order within 19hrs 57mins for delivery Monday 22 April using next day delivery at checkout. 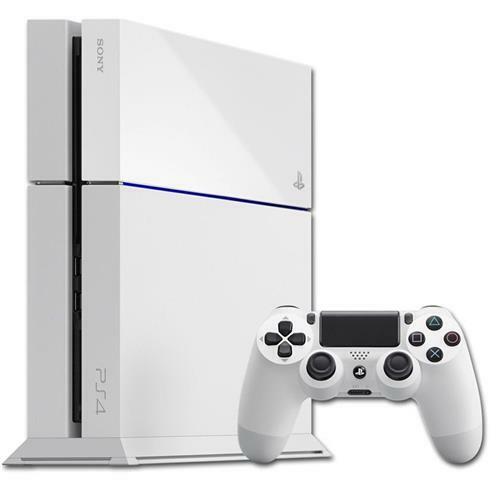 The PlayStation 4 – 10 times more powerful than the PS3 - is the world’s most powerful games console. Within its sleek and compact shell lies a 500GB hard drive, full HD (1080p) capability, superior speed and graphics, and an internal power supply to save you space. 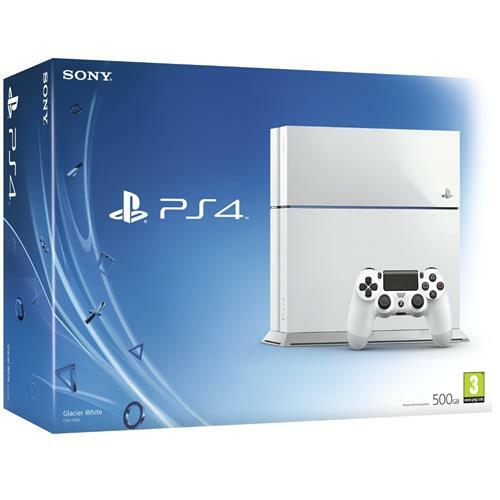 The PS4 also delivers amazing online experiences, and the best choice of blockbuster and indie games in the market. With 5 star reviews across the board, from the likes of Stuff magazine, a People’s Choice Award from IGN readers and T3’s Gadget of the Year Award, the PS4 truly is the best place to play. Putting the gamer at the heart of the console with the greatest games, PS4 is the only place to play Call of Duty Advanced Warfare, Grand Theft Auto 5, FIFA 15 and DRIVECLUB. The PS4 has over 40 console games with exclusive content and over 100 more in development, ensuring that PS4 players play first, play better, play more. And you’ll get gaming quicker with PS4, out of the box you can start playing a game on FIFA 14 in under 40 seconds, up to 15 minutes quicker than the nearest competitive console. 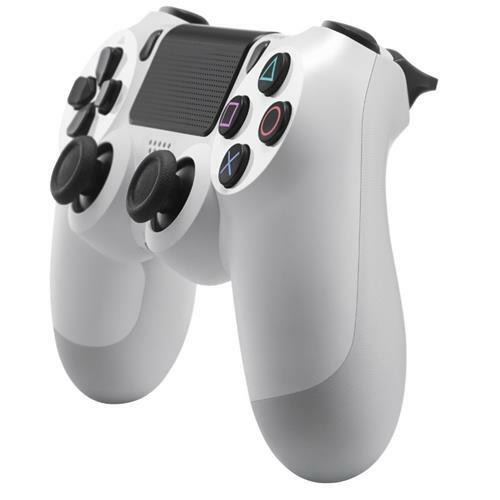 The DUALSHOCK 4 is the next-gen controller that puts the power into your hands. 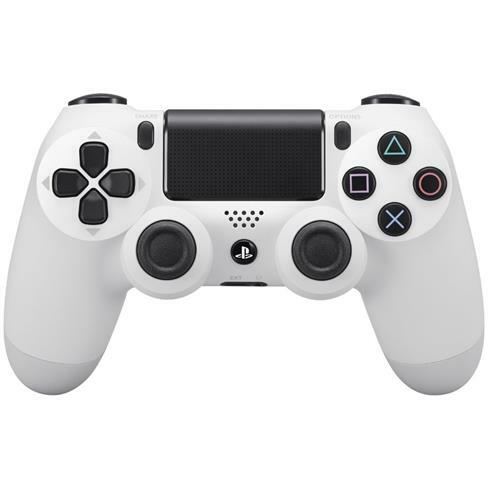 Voted the best controller by IGN readers, the DUALSHOCK 4 has been designed with developers to ensure accuracy and precision across all games from First Person Shooters, Driving and Sports. The SHARE button allows you to capture and share your finest gaming moments with the world at the tap of a button, and with a sensitive six-axis sensor, and a touchpad that gives you new ways to interact, it gives you complete control. PlayStation Plus takes your PS4 experience to a whole new level. The membership service gives you access to a diverse range of immersive online gaming experiences allowing you to play and chat with friends. Members also have access to an instant game collection and two games a month which you can download direct to your console and a range of exclusive discounts in the PlayStation Store. Remember to purchase PlayStation Plus in order to enjoy the world of multiplayer on PS4. It’s not just all about next-gen gaming, with DVD and Blu-ray film support, as well as featuring the top digital apps such as SKY GO Extra, Amazon Instant Video, Netflix, BBC iPlayer and YouTube, the PS4 is also the home for unmissable entertainment. The PlayStation Network (PSN) boasts the largest community of online gamers, supporting up to 2,000 PSN online friends. 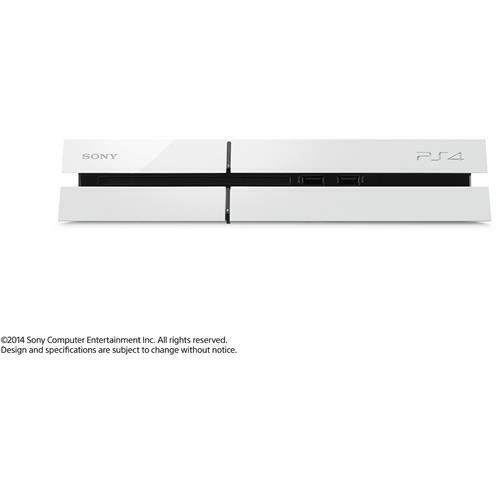 The PS4 supports up to 8 users for cross-game party chat and with Share Play, you have the ability to virtually pass the controller from you to your friend over the internet even if they do not own the game. With Remote Play you can pick up on the PlayStation VITA where you left off on the PS4 to ensure you never stop playing. If you want to continue on another full screen, PlayStation TV allows you to stream your PS4 games to any TV in your home. If you aren’t at home, the PlayStation App allows you to connect and interact with your PS4 via your smartphone, as well as keep up to date with what your friends are playing on their console.